One of the most challenging aspects of healthcare is medication management. To address these challenges Betterby Marand developed comprehensive and innovative medication management product - OPENeP. It's extensive feature list, built-in decision support and powerful integration options are designed to empower doctors, nurses and pharmacists to improve patient safety and deliver better and more personalised care. 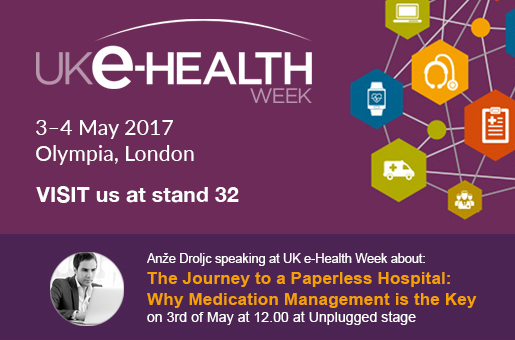 Our product manager Anze Droljc has a talk on wednesday at 12:00 PM during which he will share with you how Better by Marand managed to quickly and effortlessly transition all the wards (including PICU and neonatal ICU) of the biggest children’s hospital in Slovenia to paperless medication management and supported them in their journey to become a paperless hospital.